Enjoy the best inspirational, motivational, positive, funny and famous quotes by Allan W. Eckert. Use words and picture quotations to push forward and inspire you keep going in life! 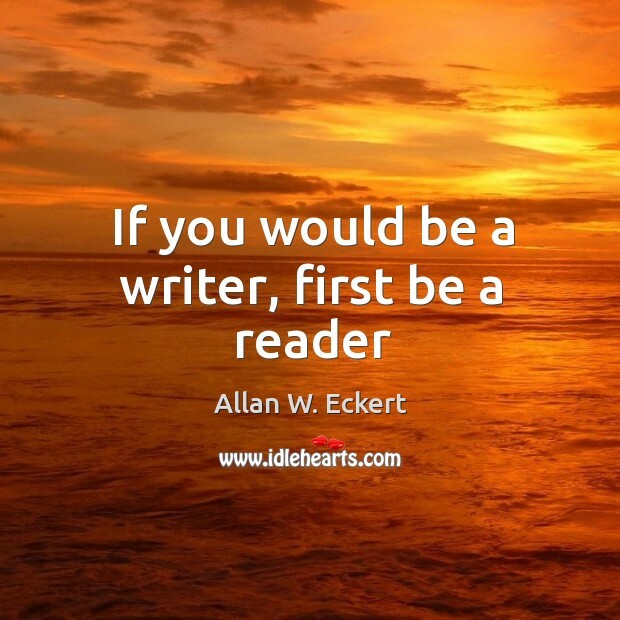 If you would be a writer, first be a reader. 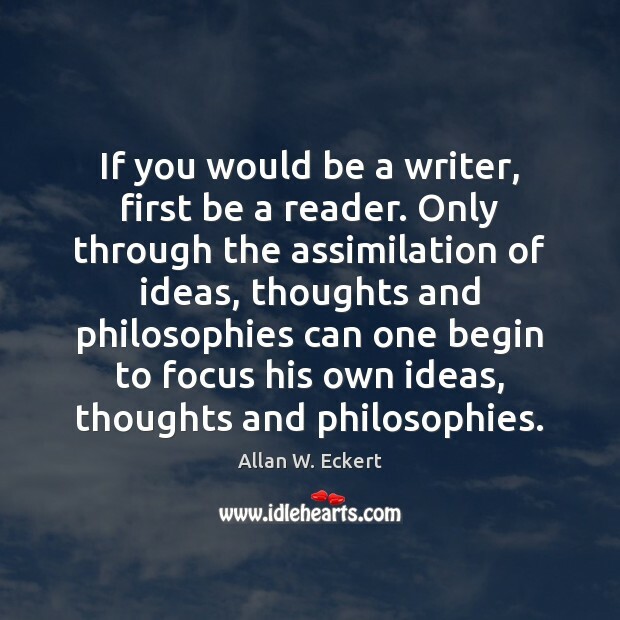 Only through the assimilation of ideas, thoughts and philosophies can one begin to focus his own ideas, thoughts and philosophies.